For years, immigrant rights groups have documented deplorable conditions in immigration detention facilities. Yet, in spite of the growing evidence pointing to the prevalence of inhumane conditions of detention, the Department of Homeland Security (DHS) has shown very little initiative in trying to address this problem. This week, in an attempt to start remediating that, DHS’ Office of Inspector General (OIG) announced a new program of ongoing, unannounced inspections of Immigration and Customs Enforcement (ICE) and Customs and Border Protection (CBP) facilities. Immigration detention in the case of ICE refers to “the authority ICE has to detain aliens who may be subject to removal for violations of administrative immigration law.” ICE operates the largest immigration detention system in the country and on any given day, there may be upwards of 30,000 individuals held in ICE detention facilities. In fact, because of the existence of a “bed quota,” ICE is required to maintain an average of 34,000 detention beds per day. Notably, no other law enforcement agency in the country is subject to such a statutory quota. If conditions of detention in ICE facilities are particularly bad, those in CBP facilities are not any better. Each year, hundreds of thousands of individuals are held in CBP detention facilities near the U.S. southern border. CBP facilities are meant to hold individuals for a short time while they undergo initial processing and a decision is made about where they go next, taking into account whether they are adults or children. They are not designed for overnight custody, and yet they are routinely used in this way. 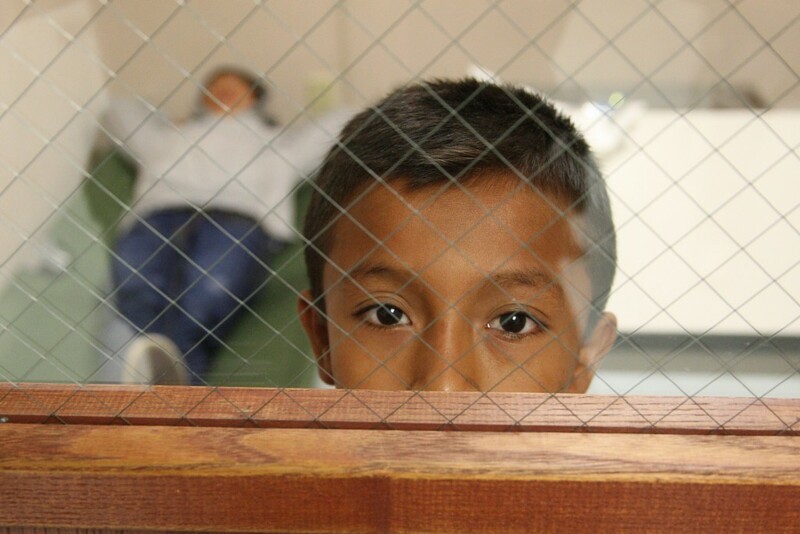 Previous reports by the American Immigration Council find that lengthy detention and poor conditions in CBP facilities are the norm. In a recent study of length and conditions of detention in the Rio Grande Valley sector, former detainees vividly describe extremely cold temperatures, overcrowding, inadequate access to medication and/or medical care, lack of access to showers, inadequate food, and sleep deprivation. The new inspection program announced by DHS seems to be a step in the right direction. According to the announcement, “the unannounced spot inspections are designed to assess DHS compliance with official government health, safety, and detention standards, and to examine conditions for minors at those facilities where minors are present.” Importantly, the inspection results are going to be published and communicated to DHS leadership, Congress, and the public. Nonetheless, improving detention conditions will require long-term commitment to a more transparent and accountable system. One thing is certain in the meantime: immigrant and civil rights groups, which have played a key role both in the identification of the most dire problems and in the recommendation of possible solutions, will continue to monitor the agency’s progress—or lack thereof—in pursuing transparency and accountability.